Giuseppe Archetti is the head mechanic of UAE Team Emirates. 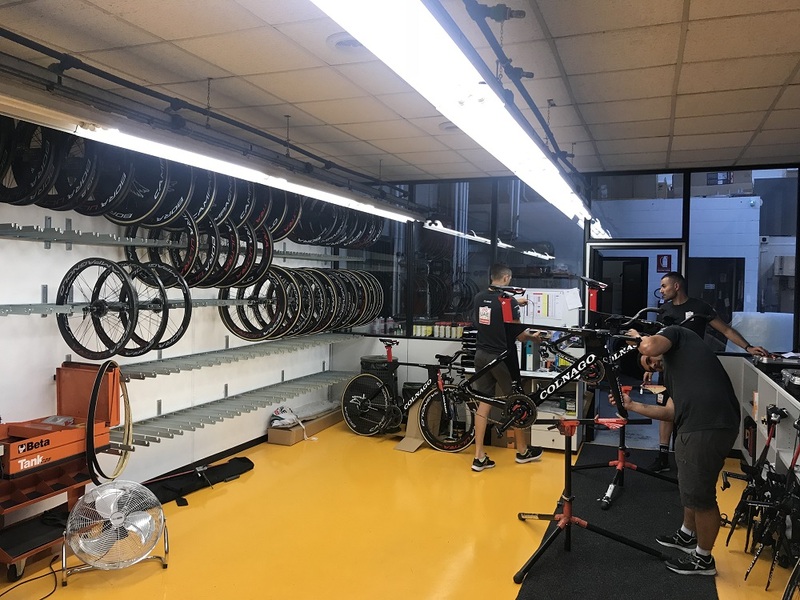 To his own accord he is « the oldest mechanic » in the team, but that is because his long experience in the World Tour as a mechanic for several Pro teams and the Italian National Team. Giuseppe is not only handling bikes and of course each power meter, he is also responsible for the organization of all mechanics. The workshop of UAE Team Emirates. How many bikes do you touch each season? Giuseppe: Many, many, many. I cannot even count. The whole team is constantly checking bikes, setting them up or fixing something. Only for our eight riders at Tour de France we prepare 28 road bikes and 16 Time Trial bikes. All those bikes are taken apart before the Tour and put back together. We check every single screw and replace everything like chains, cassettes or brake pads. 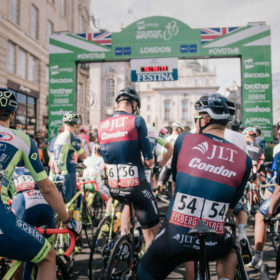 How long does the preparation for a Grand Tour take? Giuseppe: The preparation for the Tour de France basically starts right after the Giro d’Italia. All the bikes we used there are taken back to our workshop here at the headquarters and are taken apart. After this step is done, we start setting them up again. You are using our power2max NG Campagnolo power meter. How do you keep track of recharging the internal battery? Giuseppe: There are basically two things we do: 1st: we check the flashing light on start-up that shows the battery state. 2nd: during the Grand Tours we keep a list of the power meters to make sure we do not forget to check them. But apart from that, there is nothing to think about and that helps us a lot. 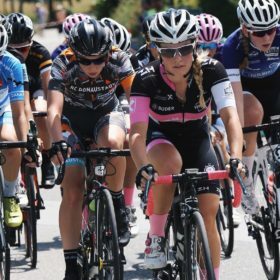 During a big race you have to think of so many things and if you do not have to take care of power meter you have one thing less to worry about. Even if we are changing the chainrings or swap a crankset, it simply works. Sometimes we have to change a crankset but our mechanics need 7-8 minutes to set up and to mount a completly new power meter onto a bike. Do you have a special trick that might help all those hobby and amateur racers? Giuseppe: Of course, when you work with racing bikes as much as we do, you will always find a solution for the problems the riders might have, for example race transponders. A lot of riders complaint about the transponders sliding down the fork of the bike during races. 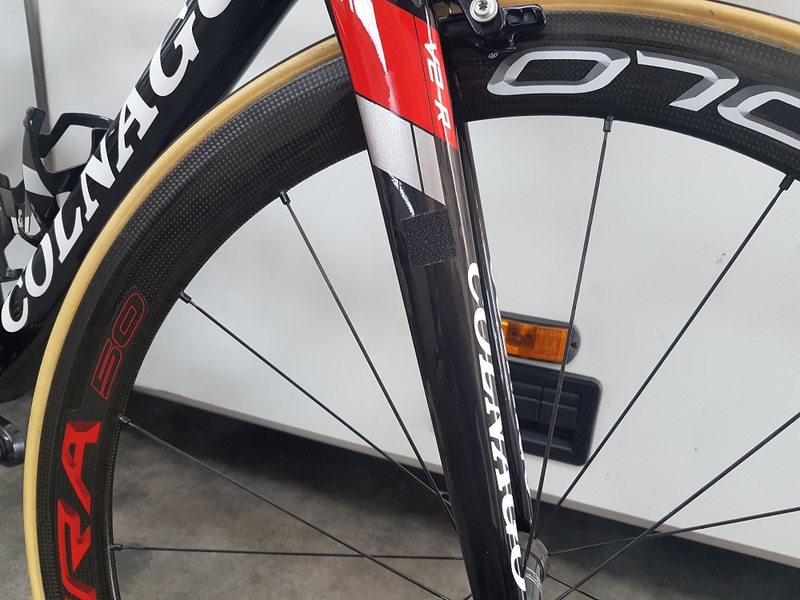 As a solution we glued a small patch of sandpaper onto the fork to creat a rough surface and to stop the transponders from moving downwards or into the spokes. A small patch of sandpaper to keep the race transponder into place. You want to learn more about UAE Team Emirates and there preparation for the Tour de France? Check out our interview.